Strange as it may seem, there is a positive (though misguided) intention to our negative thoughts. Well, that’s interesting, but what can I do about my negative thoughts, you ask? Great question! Recognize that most of our stress and distress comes from our own mind and beliefs. Each person has an average of 60,000 thoughts a day. That’s one thought per second in every waking hour! Amazingly, 95 percent are the same thoughts repeated every day. On average, 80 percent of those habitual thoughts are negative. (2) But what seems like a comfort zone, our own personal status quo, is actually a discomfort zone. Notice negative thoughts and the beliefs that underpin them when they arise, and breathe deeply while observing them like a scientist. Notice the word ‘observe’, not ‘judge’. Recognize that thoughts and feelings are not facts. While we usually experience our thoughts as facts, by learning to experience them as passing mental events, they have less power to keep us stuck in old beliefs. This switch, the shift from perceiving thoughts as facts to perceiving them as passing mental events, can create a feeling of a void in the brain that can seem scary, unknown. Kind of a “Who am I without this familiar story of myself?” phenomenon. But that void isn’t a scary thing at all, in reality: in reality, a void is simply a clean space that’s ready to be filled with anything we choose to put in it. A void is a sacred space. Just as cleaning out a closet full of old clothes that never suited us and were never worn creates space for the things that we love to wear now, so too embracing that space in our brain recently vacated by old beliefs that don’t serve our needs allows us to stop identifying with past failures, and to embrace the ability to see ourselves succeeding. Research tells us the best way to deal with thoughts we don’t want to think or feelings we don’t want to feel is to just accept that they happen. They happen to every human. Acknowledge that you don’t have control over whether a thought or emotion comes up, and realize that the more you hate yourself or the thought, the stronger its influence becomes. Even though you can’t control what comes into your mind, you don’t need to focus on it and ruminate on it. 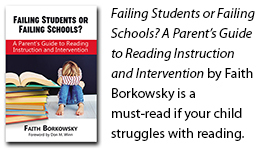 Conclusion: Since so many of my readers are dyslexic or parents or teachers of dyslexic children, Part 2 of this article will offer specific suggestions to help young ones deal with their stinkin’ thinkin’ about themselves.